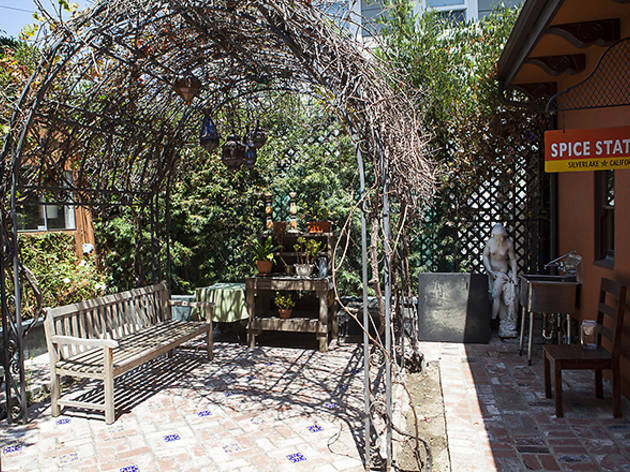 Walk down a wooden pathway to a veritable secret garden: an outdoor courtyard with a babbling fountain, vine-covered trellis, hanging lanterns and wooden benches. 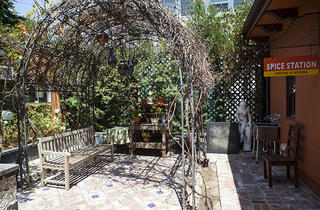 Enter the intimate tea room, where Spice Station houses its signature blends and rare teas from across the globe. 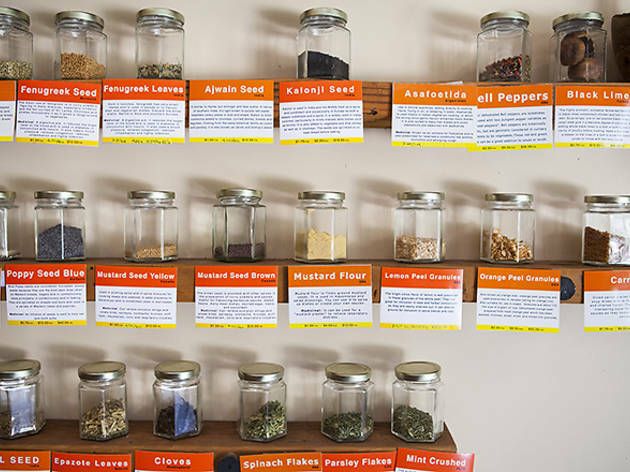 Or head into the station proper—an aromatic room stocked floor to ceiling with colorful jars containing more than 250 different spices, plus an extensive array of dish-specific blends (such as Poseidon’s Catch, great on white fish). 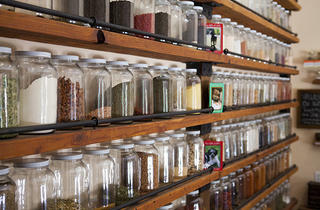 You could (and can) spend hours here, unscrewing jars, sniffing and tasting, or creating blends of your own. 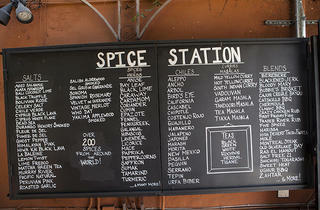 I love Spice Station. 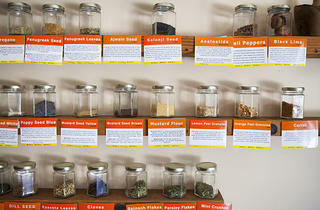 It's a great place to get unique blends, teas, and staple spices for a great price. If you need help, the staff usually can make a good recommendation and suggest something worthwhile. The selection is pretty vast and for a reasonable price, you can usually get a pretty hefty haul of spices - usually much cheaper than your local grocery store too. They give you a small labeled ziploc-style container for your spices when you purchase from them, but if you bring your own jar/container I believe you can get a small discount. I have no idea what I'd do without this place. 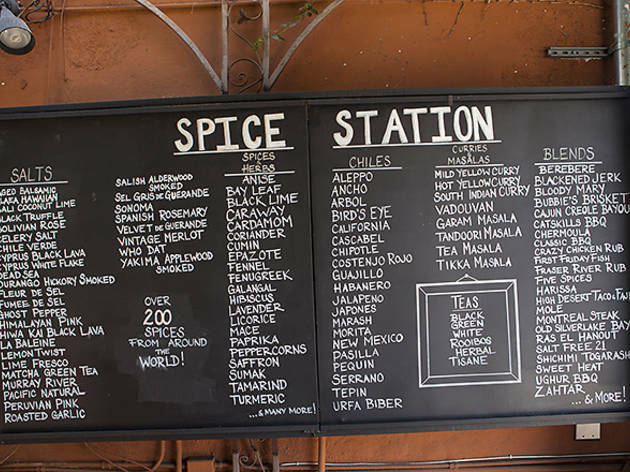 They have so many spices I've never been able to find elsewhere, not to mention signature blends for literally any food or dish you could imagine. They're so knowledgeable there, and can always point me in the right direction if I show up not knowing exactly what I want or need. 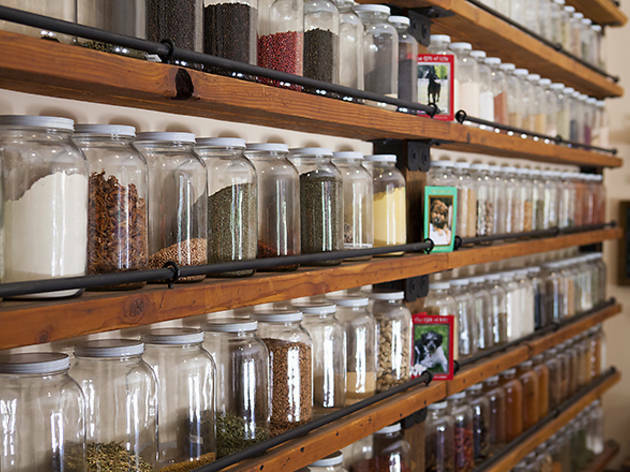 Plus, the shop is tucked away in a quiet courtyard and lined with jars big and small full of colorful powders, seeds and more. Worth going for a look alone!